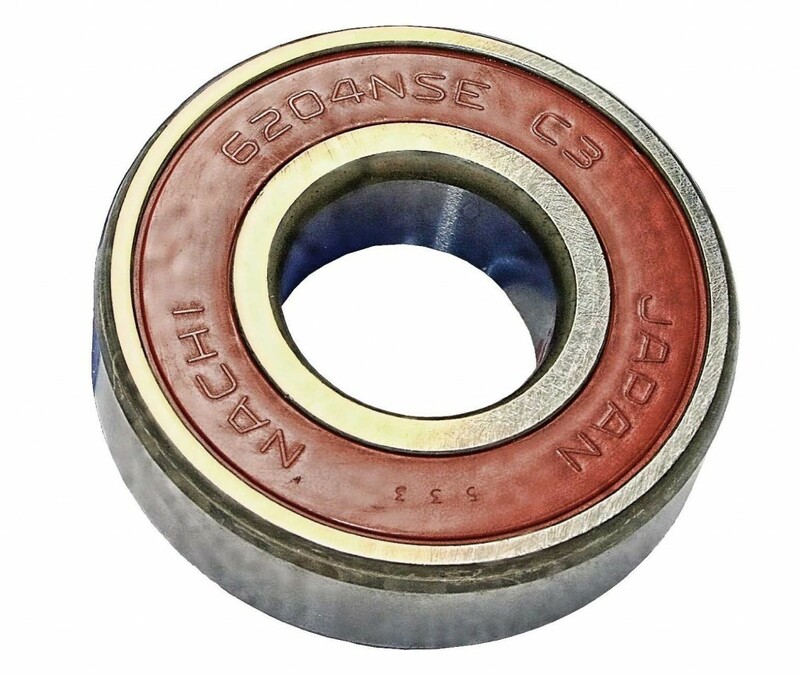 This Nachi 6206-2NSE ball bearing is made of chrome bearing steel and has rubber seals. It has a 30 mm inside diameter, a 62 mm outside diameter, and a 16 mm depth. The bearing has deep groove geometry for supporting both radial and axial loads and high speeds. The races are made of chrome bearing steel for durability and resistance to deformity under heavy loads. 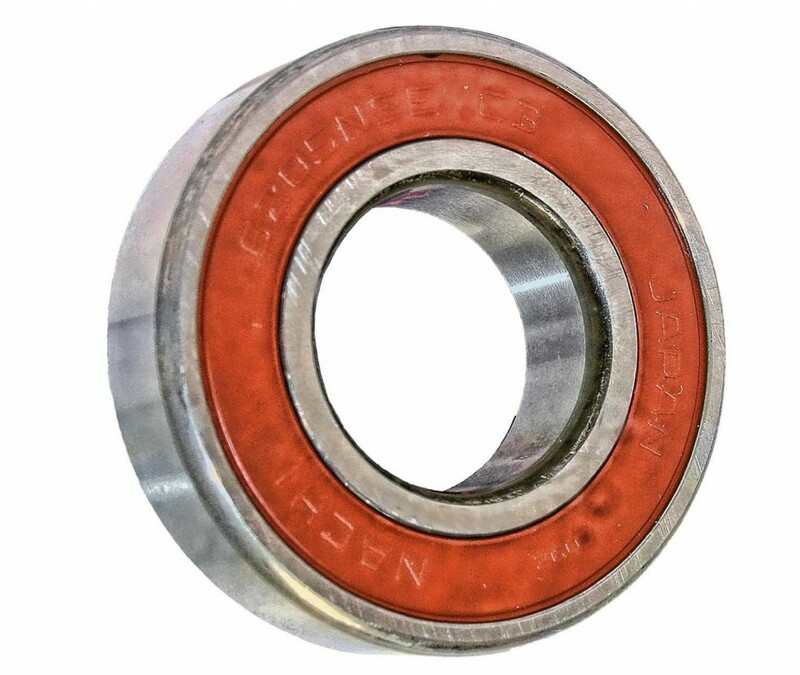 The C3 radial clearance allows thermal expansion for continuous operating temperatures up to 248 degrees F/120 degrees C. Rubber seals on both sides of the bearing help retain lubricant and exclude contaminants. The ball is made of chrome bearing steel for strength and resistance to wear and deformation. The static load rating is 11,300 newtons and the dynamic load rating is 19,500 newtons. A steel cage spaces the balls for even load distribution and prevents contact to reduce friction, vibration, and noise. The maximum speed with grease lubrication is 7,500 revolutions per minute (rpm). 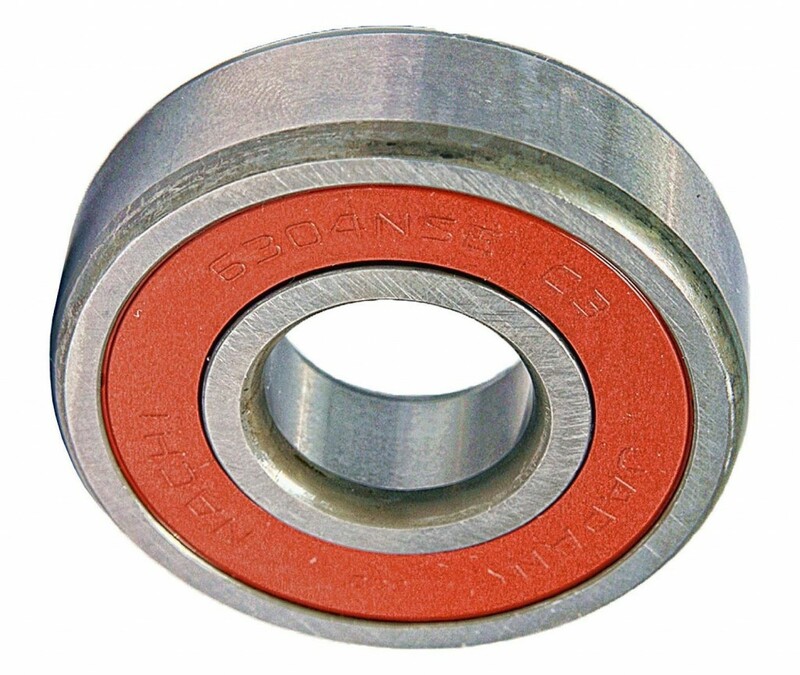 This deep groove ball bearing is used in applications such as electric motors, compressors, and material handling equipment, among others.